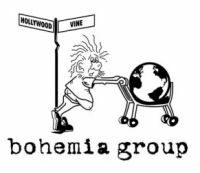 Earlier this month, Bohemia Group Originals optioned two Script Pipeline Screenwriting and TV Writing Competition finalist scripts: Bradley Stryker's action/thriller The Dragon Run, and Diana Wright's comedy pilot Franchise. Both placed in the 2016 contest. "We are thrilled to be working with the whole team at Script Pipeline," said Bohemia CEO Susan Ferris. "They have quickly proven to be an extremely valuable resource for solid material and incredible writers. While these two projects could not be more different from one another, they meet the standard of quality, entertainment value, and unique voice that we at BGO are looking for." The option agreements come on the heels of Script Pipeline hiring Creative Executive Jeff McCrann in November. Bohemia was one of several new contacts made in the past few months, as McCrann and Director of Development Matt Joseph Misetich ramp up industry network expansion. "After speaking with Bohemia, we felt their gameplan toward production matched up very well to the type of scripts we champion--a strong focus on storytelling, fresh concepts, and diverse voices," Misetich said. "The fact these two writers have been so great to work with over the last several months should be an encouraging sign moving forward." 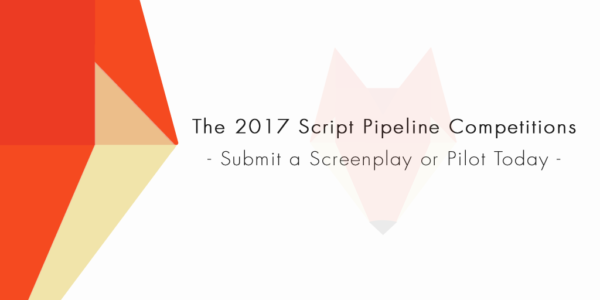 Additional 2016 contest finalists, and a handful of recent Script Pipeline "Recommends," are currently in circulation. Industry requests for material can made by emailing industry@scriptpipeline.com. The 15th Annual Script Pipeline Screenwriting and 10th Annual TV Writing competitions continue a long tradition of discovering up-and-coming talent and connecting them with top producers, agencies, and managers across studio and independent markets. 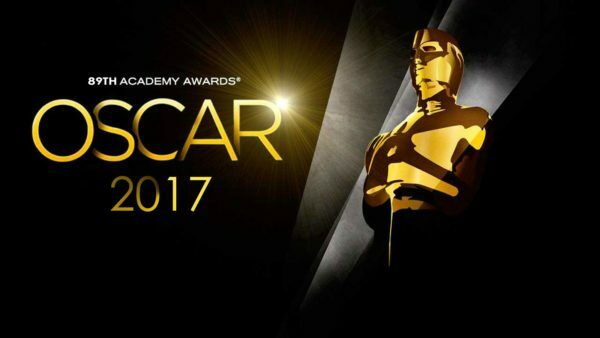 This process has proven enormously successful, with numerous screenwriting contest alumni finding elite representation and gaining crucial introductions to otherwise impossible-to-reach industry execs. It was a slower month to start the year. Twentieth Century Fox and Sunswept Entertainment have picked up Skyward, Joe Ballarini's drama spec based on two families that build a hot-air balloon to escape over the Berlin Wall. Based on a true story. Another true story spec: Samuel Franco and Evan Kilgore's drama spec Keeper of the Diary found a home with Fox Searchlight and Weimaraner Republic Pictures. The script follows Anne Frank's father who struggles to find a publisher for his daughter's diary after World War II. Universal Pictures won out in a bidding war for Rowan Athale's spec Little America, which takes place after America has become so bankrupt that China begins calling all the shots. Michael Bay to produce, Athale to also direct. Finally, Prime Universe Productions and Marlowe Pictures are teaming for Slayer, an action/fantasy spec written by Joel Dorland. The story follows a fisherman who seeks vengeance on four demonic knights who kidnapped his wife and slaughtered his village. From Script Pipeline partner The Script Lab. . . . Entry is completely FREE! The person who earns the most points will receive free entry into some of the TOP screenwriting contests and fellowships in the industry, plus other great prizes. Please reach out to support@thescriptlab.com with any questions. The one major upside to having so many outlets for television series is that more networks are willing to take risks on shows that otherwise might not be made. Take for instance The CW's Crazy Ex-Girlfriend, a self-aware musical comedy about, well, a crazy ex-girlfriend (but the situation's a lot more nuanced than that). Star, writer, and co-creator Rachel Bloom initially got her start penning Youtube songs, many of which went viral (including her lewd but hilarious Ray Bradbury song), but Crazy Ex-Girlfriend has solidified her as one of the few internet stars to find legitimate success offline. Bloom and co-creator Aline Brosh McKenna's pilot script follows Rebecca Bunch, who seemingly has the perfect life and prefers to see the world as a musical. She's a lawyer in New York and makes a considerable amount of money, but nevertheless, she's depressed and still has never gotten over Josh, a boy whom she had a brief romance with at summer camp as a teenager. After a chance encounter on the streets of NYC, she discovers that he's moving back to West Covina, California, and impulsively decides to move there too. But she just wanted to get away from New York. She totally didn't move there for him. Not at all. . . .